Real Alien To Haunt You In Your Dreams. If you think that aliens might or will be found only in the farthest reaches of space, well think again my fellow readers. THINK AGAIN. We have freaking lots of alien looking LIVING creatures right here on our very own earth. Most of which lives in the deepest darkest part of the ocean. So.. SAY HELLO TO MY ALIEN LOOKING FRIEND! This is the "Giant Isopod". 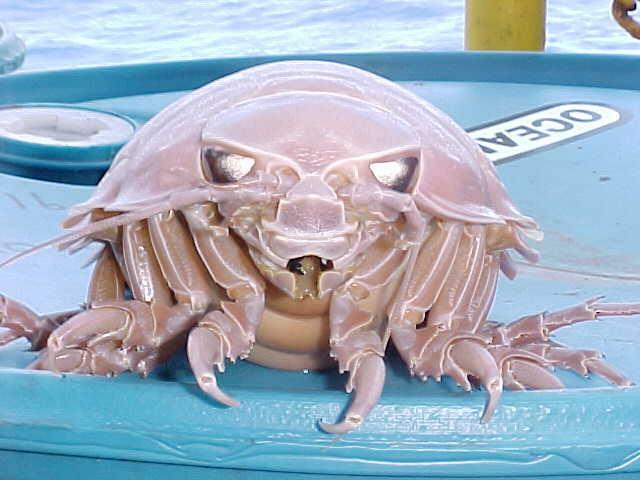 A deep sea dwelling creature closely resemble to a woodlouse. This chilling, well at least to me, alien like creature caught my attention when i was reading one of my favourite site, Gawker.com. The one in the article in particular, was a 2.5 feet creature measuring from head to tail; attached itself onto a submersible ROV at the depth of 8500 feet. For the skeptics that might think that this is a photoshopped pic, well my friend, you are warned. This creature does exist and here to eat your brains out. Muahahahahaha! What does a giant isopod eats? Human off course. Duh?!.. Living, wriggling & bloody screaming fresh human meat. Nah.. i'm just messing with you guys. Though, they could, if they were to grow oversize due to mutation from polluted water from a nuclear bomb test. It was said that, if one were to eat a fresh giant isopod, one would be able to have super human strength and able to breathe underwater. A giant isopod is also a great aphrodisiac, it will make a guy from being just "good" to "spectacularly awesome". Hahahaha.. again i'm kidding. Please disregard this paragraph. 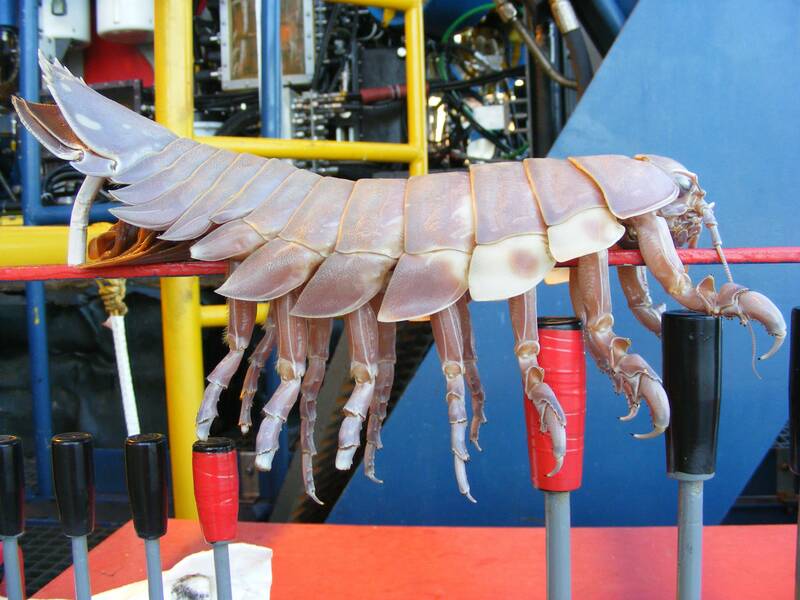 Actually a giant isopod feeds on dead carcasses of whales, fishes and squids. More on that here in wikipedia. 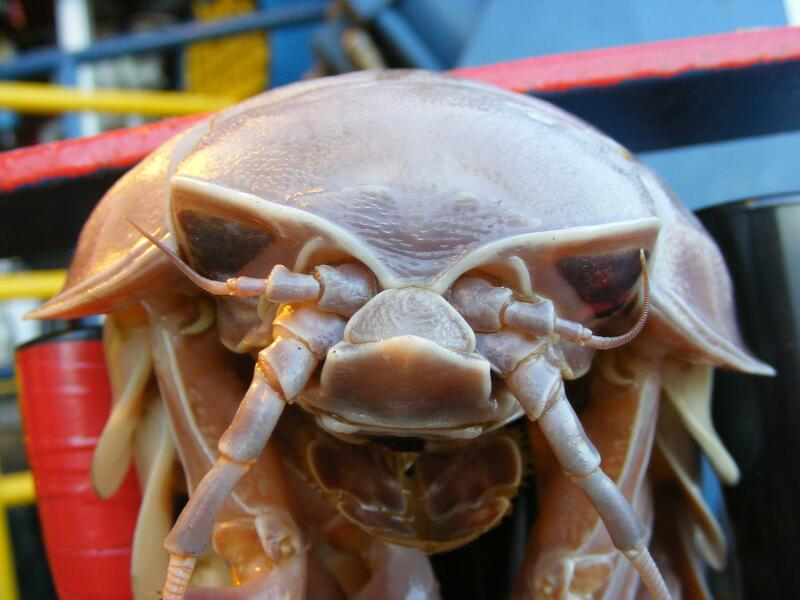 i have also found a video that would certainly gives me nightmares about the giant isopods. SWEET DREAMS ARE MADE OF THIS. MAY THEY HAUNT YOU IN YOUR SLEEP!! p/s: If you're reading this from my Facebook notes, you will not see the video i've embedded. Click on VIEW ORIGINAL POST to see it and have your own nightmare. Muahahaha!